Reuters reports that all lights were out across many regions of Venezuela including much of the capital city of Caracas on Monday. This blackout follows a previous and prolonged blackout, for which electricity had just been restored only two weeks ago. Venezuelan President Nicolas Maduro blamed that earlier blackout on internet-based “sabotage” by U.S. president Donald Trump. 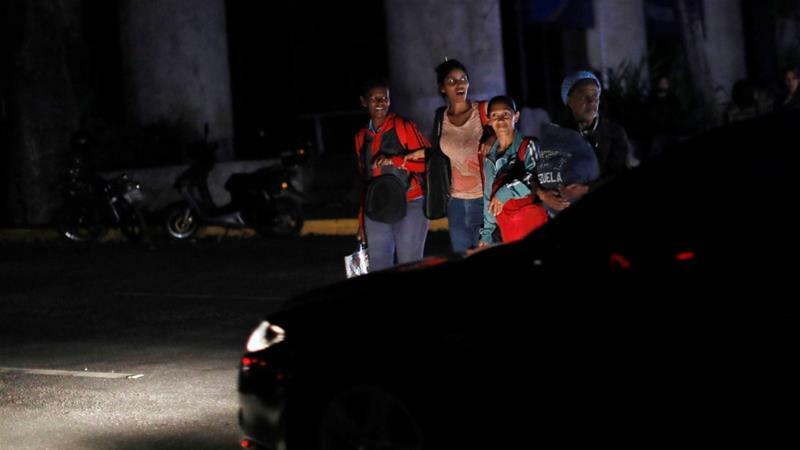 Former officials with Venezuela's state-owned power company and local engineers told Reuters this earlier blackout was probably caused by a technical problem with transmission lines that connect the Guri hydroelectric plant to the nationwide power grid. Several western states had no power, according to Reuters witnesses, though it remained on in the southern city of Puerto Ordaz and in parts of Valencia, the country’s third-largest city. Shops across the country closed early to protect against possible looting.